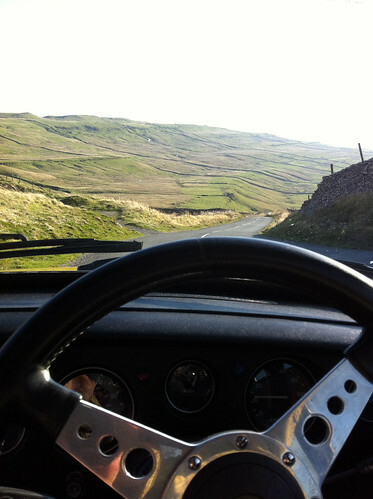 A sunny late October morning - perfect weather for throwing the B around the Yorkshire Dales. I chose a road helped by the Pistonheads forums and built the rest of the route around it. Going from Northallerton west into the Dales through Leyburn and south along the B6160, through Grassington and along the B6265 and Ripon; we did around 130 miles in all in the very beautiful Dales countryside.